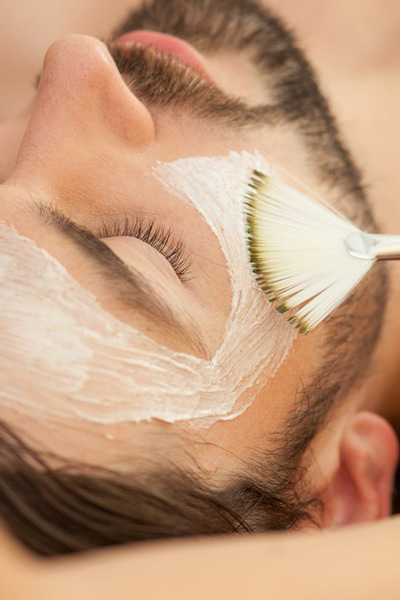 We offer the full spectrum of unisex facial treatments to make you feel recharged with smooth, nourished and hydrated skin. Treatments include cleansing, rejuvenating, anti-aging and detox last from 30 minutes to 2 hours and you are never alone on selecting which is the best for you. This is what our clients say about our unisex waxing. We offer a completely safe and hygienic means of hair removal, using waxes that are suitable for the most sensitive skin types. Whether it is for an all important meeting or a special occasion, pop in and let a professional take care of you, so that you will have the perfect look. You can also learn the tricks of the trade on our one-to-one Make-up course. Yes, we do Eyebrows and Lashes as well so that you can leave the salon with an impeccable look, feeling fully confident. 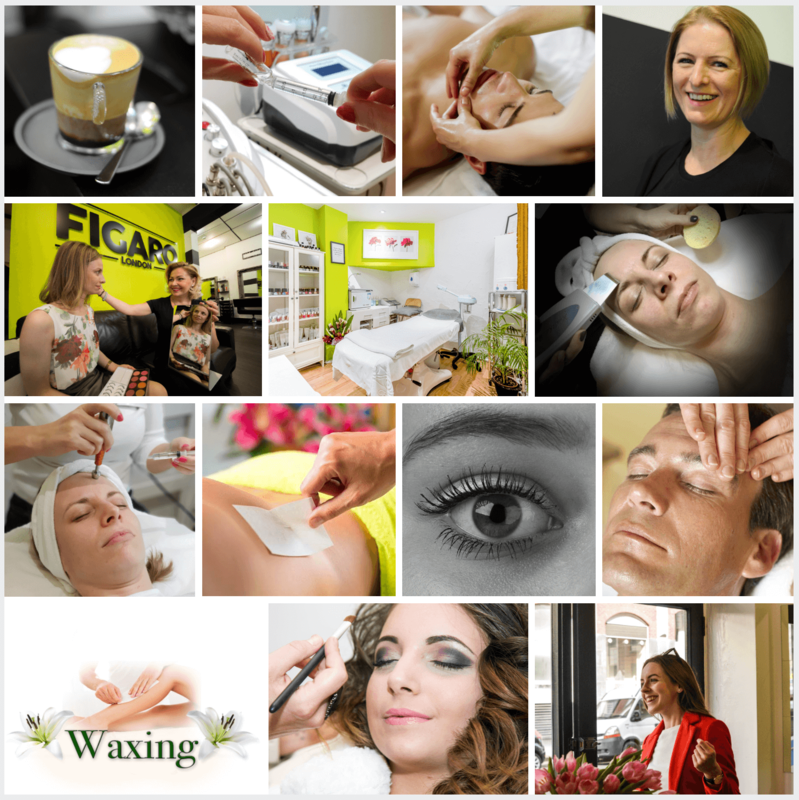 Our services include extensions, colouring, shaping, tweezing or waxing. Our beauty therapists have a vast experience in specialist treatments like Microdermabrasion, Led light Therapy and Ultrasound Therapy. You can do most treatments in your lunch break so you don’t lose any time from your evening. To maintain beautiful and healthy skin, it’s essential that you know how to look after it. No two skin types are the same, we are all unique. You’ll be given personalised advice and a free treatment plan to make sure your skin looks its best. Quick aid against blackheads, acne and skin impurities. Clarifies, soothes and moisturises your skin. Combined with ultrasound and serum, your skin will feel clean and recharged. Go for this if your pores need a thorough cleanse and say good bye to every single blackhead or little impurity you didn’t even know you possessed. The treatment includes ultrasound and serum, as well as a soothing and relaxing facial massage to give your facial muscles a lift. Your skin will feel clean and recharged. The Rolls Royce of facials, our signature service. The combination of deep cleansing with the benefits of microdermabrasion, complemented with ultrasound to penetrate those active ingredients into the deep layers of your skin. You skin will feel extremely clean, smooth, revived and recharged. This very effective gel-based peel uses the perfect blend of acids to exfoliate without harshness, irritation or inflammation. 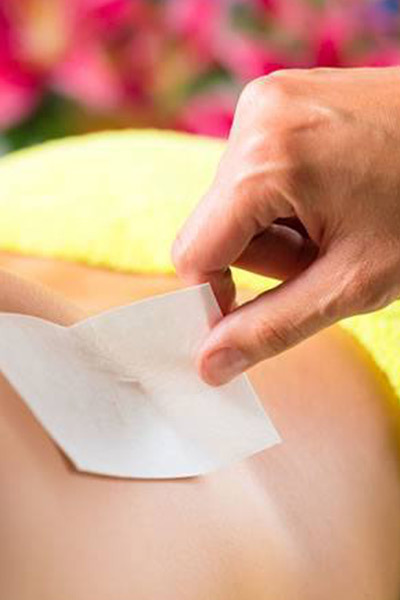 A new technology in peeling, clients experience little to no stinging and should not experience flaking or peeling. Your skin will be left clear, bright, hydrated and glowing so you can continue with your daily routine looking refreshed, just remember to wear sun protection. This peel can be repeated every 4 weeks. Increases circulation to your facial tissue, resulting in brighter, youthful-looking skin. Helps to reduce puffiness and wrinkles. Plus: it reduces stress leaving you peaceful and relaxed. We recommend this treatment on a weekly basis. This luxurious facial is a must for dry skin that shows signs of aging and tiredness. Ultrasound will stimulate the skin tissue increasing cell regeneration and collagen production. Combined with either thermotherapy or a gold mask (depending on your skin’s needs), this treatment will nourish your skin leaving it softer, smoother and more hydrated. An instant face lift that combines the latest muscle stimulation and micro-vibration technology with a special serum that penetrates deep into the wrinkles, filling them up. You’ll leave with an instantly more youthful, radiant complexion. With age and experience come tired skin and jowls, but thanks to this non-surgical face lift treatment there is a non-invasive, convenient way to regain tight, toned and radiant skin. Transdermal mesotherapy is an advanced skin rejuvenation to nourish, repair and regenerate your skin. Give your skin a boost of health and freshness. During this treatment, electrophoretic waves are used to transport a highly-effective serum through your skin’s protective surface. It’s like a magical work-out for your facial muscles! HyaluronPen is the newest technology of injecting Dermal Fillers without needles. The results are visible after just one session: wrinkles are significantly reduced and skin elasticity improves immediately. We use state-of-the-art Hyalax® fillers for its highly active therapeutic properties. The treatment is non-invasive and requires no downtime. The procedure isn’t suitable for people with certain heart medications or for women who are pregnant. Read on for more information and book a consultation with Rina. The BB Glow treatment is an intensive skin treatment that uses state-of-the-art micro-needling technology to penetrate to the deepest layers of the skin. This treatment stimulates natural collagen production and offers a myriad of other benefits: fewer freckles, brighter, more radiant skin, more even skin tone, less skin discolouration. Fewer fine lines and wrinkles improve the look and texture of your skin. BB Glow treatments also supply your skin with BB serum, which is made from natural ingredients. The BB serum is applied with a Dermapen, which uses microneedles to penetrate the skin. Microneedles are so small they can barely be felt, and the treatment is extremely gentle. 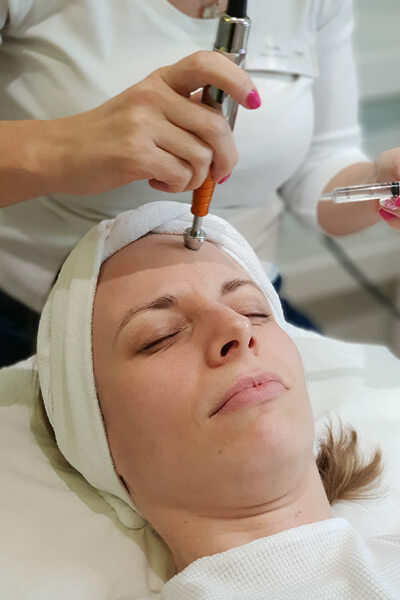 Dermapen is a revolutionary skin needling device that utilises 12 surgical grade micro-needles that cause microscopic puncture channels in the skin, stimulating an inflammatory or wound healing response. This promotes intense renewal, repair and rejuvenation by releasing Natural Growth Factors to stimulate the reformation of collagen. Dermapen is highly effective in treating fine lines and wrinkles, acne and breakouts, scarring, hyperpigmentation, hypopigmentation, enlarged Pores, UV Damage.